Strawberries | Retired? No one told me! Welcome to this month’s The Culinary Alphabet my monthly guest post over @ Esme’s Salon this month it is the letter M which means I am exactly halfway through the alphabet. There is nothing like homemade mayo once you have made it you will never buy a shop made one ever again. 1 tbsp of lemon or lime juice. Put the egg whites in a bowl with the Cider vinegar and blend gently until they are well mixed. With the blender still going slowly start to add the olive oil starting with just a drop and increasing to a steady stream as the mayo starts to thicken. Blend well until the mayo is your desired thickness and season to your taste. A silky and slightly sweet Italian cheese which is made using only two ingredients whole cream and citrus which is why it is easy to make at home. Because of its high butter content, it spoils quickly so once opened it should be used quickly. It is made using no rennet so is suitable for vegetarians. It is used to make that traditional Italian dessert of Tirasamu, to thicken soups, it can be added to mac and cheeses for a creamier sauce and makes a lovely dip when herbs are added. The environment is also something I am passionate about and there will be more on this on my blog this year. This entry was posted in Carol Cook's @ Esme Salon, Cooking from scratch, The Culinary Alphabet, The letter M, Uncategorized and tagged chicken pepper curry, Mango, Mascarpone, Mascerate, Recipes, Strawberries on February 14, 2019 by CarolCooks2. Do you want a great tasting Fruit Infused Vodka to add to your favorite mixed drinks? Or maybe you want a unique homemade gift to give out at the holidays. Here is your answer! I made these with strawberries, pineapples and blueberries and it only takes 3-5 days to make! The best part is it lasts indefinitely. I was inspired to learn more about infusing vodka through a Facebook group called Cooking From Scratch on Debbie’s Back Porch. Rinse and pat dry the strawberries and the blueberries. Cut the strawberries into small pieces after removing the top. Cut the outer layer off of the pineapple, core it and cut into small chunks. Measure two cups of each fruit and pour each fruit into a clean quart jar. Fill each fruit jar with 80 proof (40% alcohol) or 100 proof (50% alcohol) Vodka. This entry was posted in Cook from scratch, Fruit Infused Vodka, Recipes, Uncategorized and tagged 80% proof, Infused vodka, Pineapple, Strawberries, Vodka on October 27, 2017 by CarolCooks2. Wow..Doesn’t time fly when you are having fun, writing, cooking and eating…Oh, Yes! 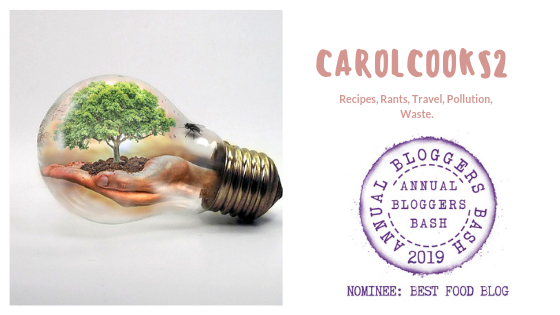 Post Numero 5 of Sally’s and Carol’s collaboration are you enjoying it??? Because we are and the response has been really great so thank you, everyone,, xxxx Lots more to come and so is Christmas so It’s time to start baking that Christmas Pudding and making that mincemeat … Just saying! My thanks to Carol for her hard work in the kitchen preparing these wonderful recipes. Asparagus is a member of the lily family and the spears that we eat are shoots grown underground. The ancient Greeks used the word asparagus to describe any young tender shoots that were picked and eaten. It was cultivated over 2,000 years ago in that part of the Mediterranean and the Romans then picked up a liking for the delicacy eating fresh and dried out of season. This entry was posted in Smorgasbord Health 2017, Uncategorized and tagged Asparagus recipes by Carol, Asparagus The Health Benefits, bacon, Balsamic Vinegar, butter, Retired! No one told me!, Strawberries on September 6, 2017 by CarolCooks2. This is now when it gets interesting as you can add a little freshly grated ginger, some crushed lemon grass even treat yourself to one of those exotic fruits you have seen in your local shop or farmers market just to liven it up, change it. Some sesame seeds? Some poppy seeds?? Serve it with your porridge oats or other cereal with natural yoghurt… the possibilities are endless… Have fun when you make one and try different fruits. This entry was posted in Cream, Custard, Fruit Salad, Laughter, Uncategorized and tagged Apples, Cream, Custard, Dragon fruit, Grapes, Icecream, Kiwi Fruit, Mango, Oranges, Pears, Pineapple, Strawberries on July 9, 2017 by CarolCooks2. I am really getting into this smoothie making and today I think is one of my favourite smoothies. I am learning to get the right amount and what I do is take the glass I am going to drink it from and fill the glass with my fruit that way I make just enough and if I am making more than one glass then I double up but it eliminates the guesswork. Todays smoothie was a mixture of fruit and vegetables. I used a large chunk of Pineapple, Watermelon, yellow melon and dragon fruit. A slice of tomato, a slice of beetroot, a piece of carrot and a little ice. Then into the liquidiser and a blitz for a minute and voila a lovely smoothie. If you missed my previous smoothie recipes then I have put them all in this one post just for you along side a little chatter and trivia about some of the fruits. This mornings smoothie was Banana, Pineapple, Tomato and Raspberries with a touch of fresh Lime juice. Yes, tomato...I have had tomato in a smoothie from a fruit stall but never used it at home but again I have lots of tomatoes. So we get lots of nutritional goodies all in the one glass and it’s yummy. Not like one of those yucky coloured juices which claim to be good and you have to literally hold the nose and down it in one and at the same time hope it doesn’t come straight back up…What is the point of that??? We like nice tasting drinks don’t we girls and boys??? Put 2 small bananas, 2 rings of pineapple chopped, half a tomato skinned and I added a handful of frozen raspberries and a squeeze of fresh lime juice. All together in a blender ….blitz and pour into a chilled glass. Now for some facts about the very versatile pineapple….Well, first things first…who doesn’t like Pina Colada???? Best served cold on the beach….Delicious! Thailand is the biggest producer of pineapple and in the wild pineapples can live and fruit for up to 50 years. The pineapple is not an Apple or a pine but a berry…. Eaten fresh, juiced, cooked …it is lovely in a curry or fried rice or preserved. It is also great for tenderising meat. So it’s smoothie time again, strawberries, a banana, a few frozen raspberries and 3 cheeks of lime juice and about half small glass of coconut milk. I like my drinks a bit tart and I don’t do sweet drinks so you may want to cut the lime a little and add some honey to sweeten but the beauty of the smoothies is anything goes you can make to order. If I want it colder and more frozen then I use frozen bananas. Now for a little bit more about the Strawberry which is cultivated world wide, most people love a strawberry….Don’t they???? The garden strawberry was first bred in the 1750’s in Brittany, France and believe or not they are not technically berries but accessory fruits! A member of the rose family they are the only fruit to wear their seeds on the outside. Although the seeds can be propagated they are more commonly reproduced by the runners which are then pegged into the soil. A piece of trivia: There is a museum in Belgium dedicated to the Strawberry. If you want a more frozen smoothie then just freeze the papaya and banana. I always keep bags of frozen fruit for smoothies…I just didn’t want brain freeze today…ha ha. 8 oz of ripe mango (frozen). You could use frozen mango pulp as I do when mago is out of season. Put all the ingredients into your blender and whizz until it is nice and smooth. Spoon into 2 glasses and enjoy! If it is too sour for you then add more honey or sweetener of your choice but I love the sourness of the Tamarind. I hope you enjoy these as much as I do…. until next time thank you for reading this post and please leave a comment if you try a smoothie and if you wish to share this post then please do. You can also find me on these sites if you want to check them out. This entry was posted in Cook from scratch, Fruit smoothies, Smoothies, Uncategorized and tagged Carrot, Coconut milk, Dragon fruit, Mangoes, Raspberries, Strawberries, Tomato on March 20, 2017 by CarolCooks2. This entry was posted in Strawberries, Strawberry and Chilli Ice cream, Uncategorized and tagged Chillies, Ice Cream, Strawberries on July 27, 2016 by CarolCooks2.